Meeting at arrival in the airport or by the hotel with a sign, i.e. the automobile will be delivered to the requested location. You don’t need to worry about the vehicle’s operating condition as we offer only the cars of the recent years’ production with a full package. Favourable rental cost of a Lamborghini Urus in Europe is estimated by our manager with the account of travel distance and rental duration. 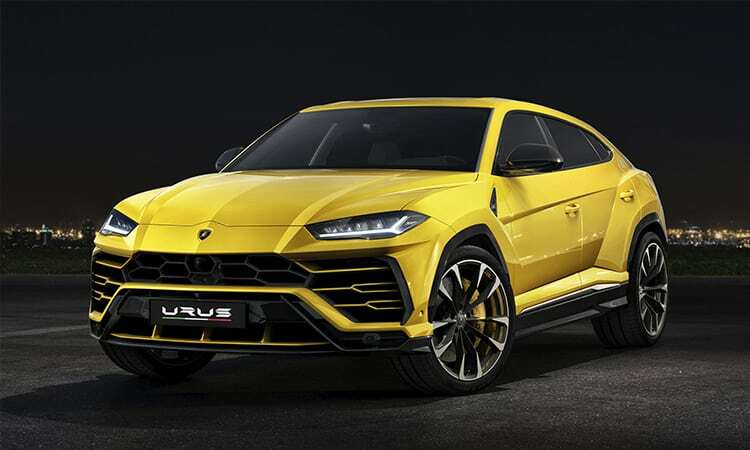 Lamborghini Urus is the first in history crossover from the legendary Italian manufacturer. It will create the unforgettable impressions during your journey on the European roads. You will feel the awesome power of a 4 litre and 650 hp bi-turbocharged engine with V8. To rent a Lamborghini Urus in Europe, please contact our manager by phone: +39 339 14 61 303 or e-mail: info@rentluxecar.com. For insurance reasons, the minimum age for rent Lamborghini Urus is at least 21 years. A valid driver’s licence is always required to rent a Lamborghini Urus in Europe, as well as a minimum amount of 10000 € in your credit card, which is blocked on the rental period and released only after the return of the car. The rental rate includes mileage, amounting to 150 km per day and the cost of each additional kilometre is 3 €.